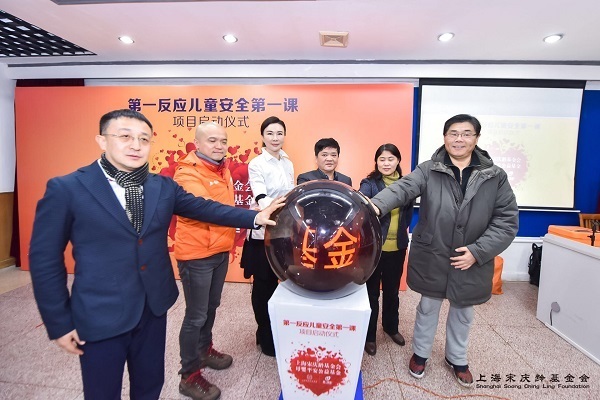 Launching ceremony of "Children Safety - First Lesson" public welfare project, funded by SSCLF-Safety for Mothers and Infants Public Welfare Fund, was held at Shanghai Private Yongchang School on the afternoon of January 12， 2018. 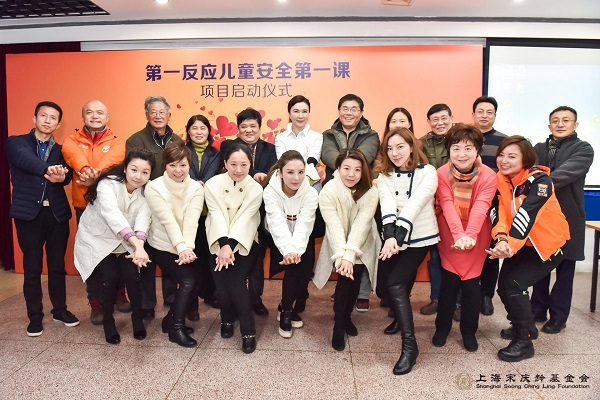 The project implementation unit is Shanghai Pudong New Area First Reaction Voluntary Service Center ("First Reaction"). 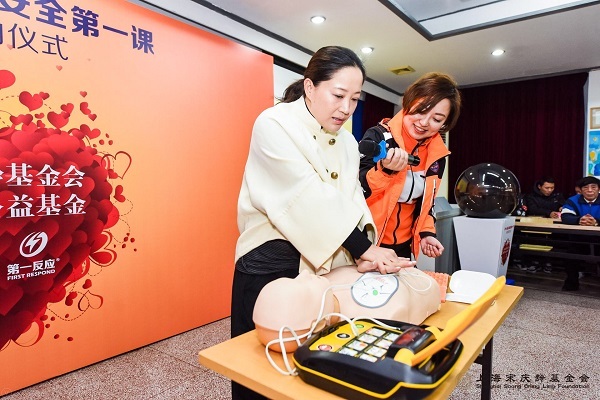 The center’s founder Mr. Lu Le demonstrated an interactive first-aid safety lesson for the guests. The lesson demonstrated the effective self-help and mutual rescue skills for children’s safety, while helping to enhance children’s awareness of safety education. According to data from “World Report on Prevention of Child Injury” issued by World Health Organization, around 830,000 children under the age of 18 die from accidental injuries worldwide every year and more than 2,000 families become fragmented from accidental injuries each day. Building a better education system for children’s safety will effectively avoid the serious consequences from these accidental injuries. 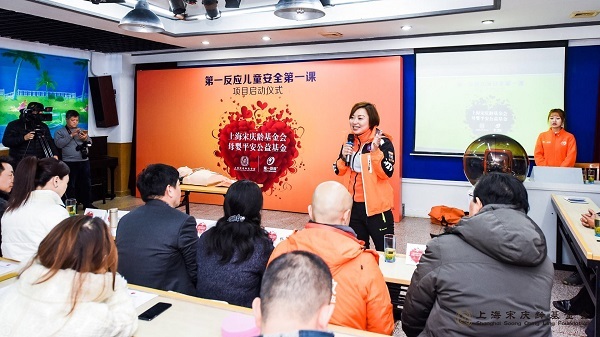 "First Reaction" is a first aid training and life rescue agency. 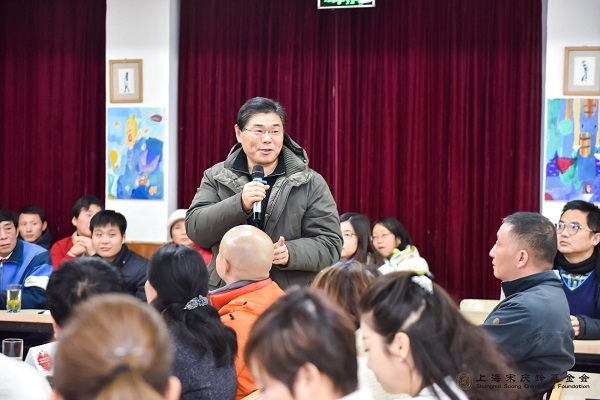 "Child Safety - First Lesson" researched and developed by the "First Reaction" has entered hundreds of schools, where the child safety tutors help children grasp the necessary self-help and mutual rescue skills. The charity fund provided by the Safety for Mothers and Infants Public Welfare Fund will be used for the training of child safety mentors, and each beneficiary mentor needs to complete the task of teaching “Children Safety - First Lesson” for 100 children, and popularize children safety knowledge and self-help and mutual rescue skills among children. 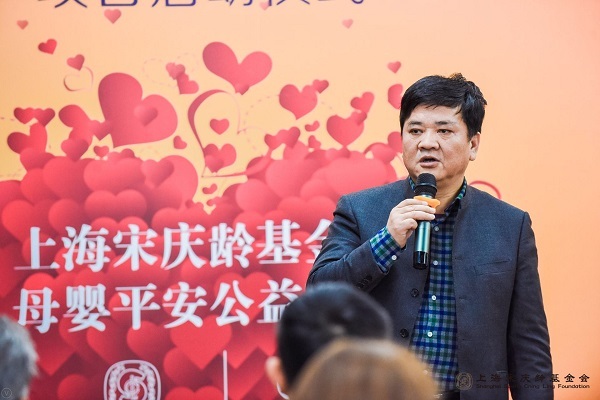 Present at the ceremony were SSCLF’s acting secretary general Mr. Jia Yong, SSCLF’s deputy secretary general Mr. Zhang Houye, Huangpu district Civil Affair Bureau deputy director Ms. Yang Lan, SSCLF-Safety for Mothers and Infants Public Welfare Fund director Ms. Qiu Haining, SSCLF-Safety for Mothers and Infants Public Welfare Fund vice director Mr. Liu Shiqing, Shanghai Private Yong Chang School honorary president, deputy to the National People’s Congress professor Yan Chengzhong, Shanghai Private Yong Chang School chairman Mr. Yu Jingming and Shanghai Private Yong Chang School headmaster Mr. Li Yuhua.